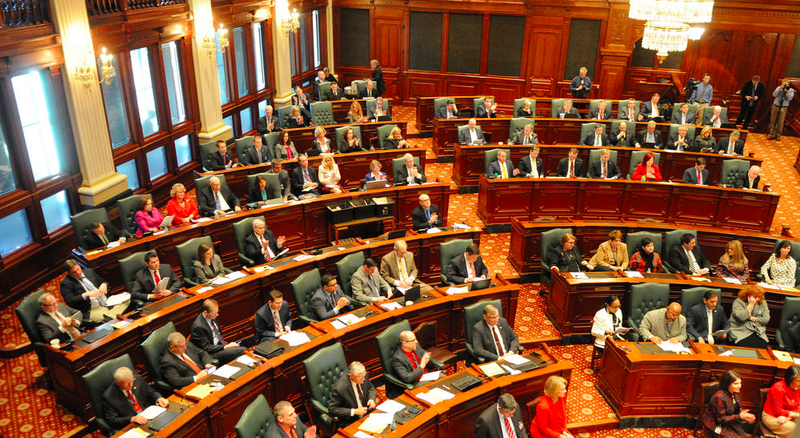 State Representative CD Davidsmeyer (R-Jacksonville) is co-sponsoring legislation that will block an automatic pay increase for Illinois lawmakers. “It is appalling to hear that state legislators could receive a pay raise when social service agencies are cutting back or even closing their doors and students at our institutions of higher education aren’t receiving needed support,” said Davidsmeyer. The automatic Cost of Living Adjustment (COLA) is based on statistics created by the Federal Bureau of Labor. Legislators would receive the increase regardless if the money is appropriated or not. The COLA would be over a $1,000-increase in legislator pay. The increase will go into effect July 1, 2016 unless legislative action is taken to stop the pay raise. “It’s time for legislators to lead this state by ending automatic raises for themselves. With billions in unpaid bills and no budget, it’s ridiculous to think that Illinois can afford raises like these,” said Davidsmeyer.